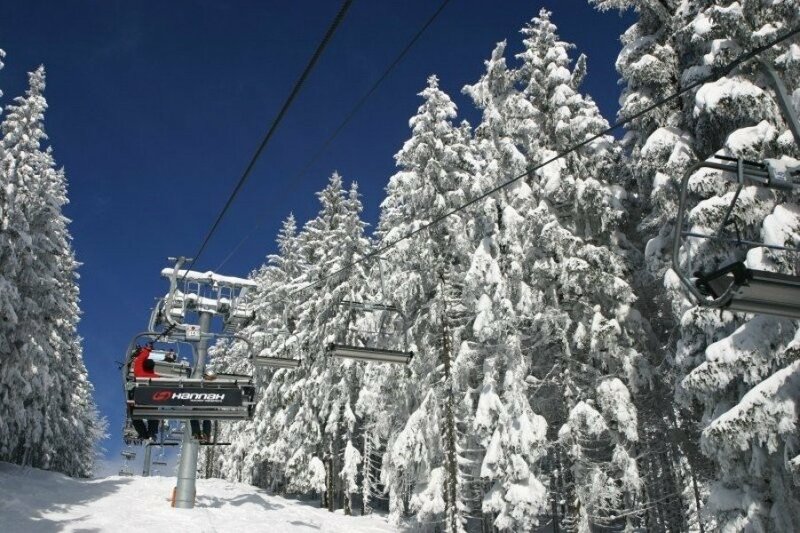 Elevated between 2822 ft and 3944 ft, the Ski Resort is among the 10 highest elevated Ski Resorts in the Czech Republic. The vertical drop from summit to base is 1122 ft. The average difference in altitude between base and summit of Ski Resorts in the Czech Republic is 823 ft. Most runs are therefore relatively long. 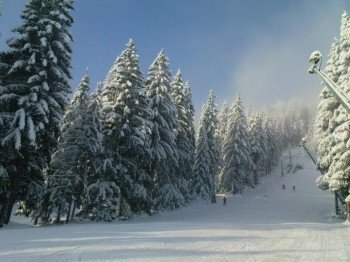 The day pass at Spicak Zelezna Ruda is €29 making it one of the 3 cheapest ski Resorts in the Czech Republic. 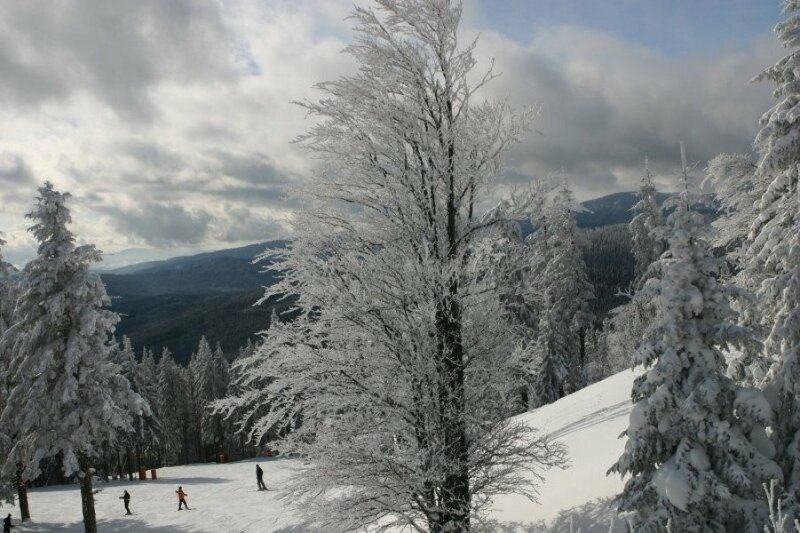 Spicak Zelezna Ruda is among the 3 best rated Ski Resorts in the Czech Republic. 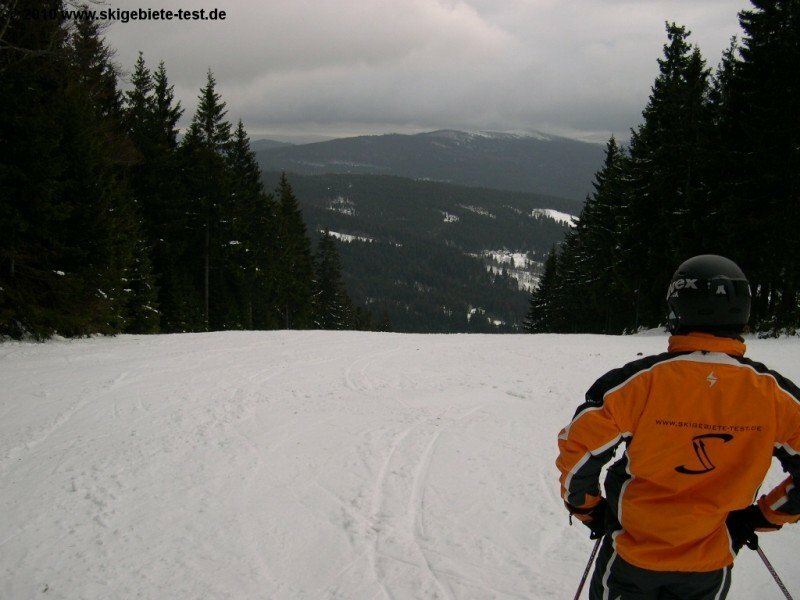 It is among the 3 most family-friendly ski Resorts in the Czech Republic. Average snow depth during the season (Dec 15 to Mar 31) is 31 " at summit elevation and 20 " at base elevation. Snow coverage is usually best during January, offering an average snow depth of 35 " at summit elevation and 24 " at the base. 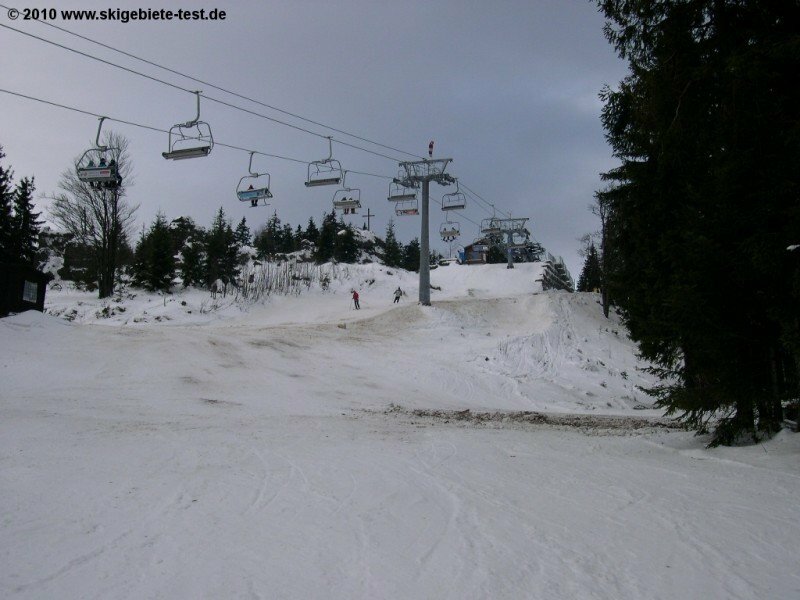 Therefore Spicak Zelezna Ruda is among the 3 ski Resorts with best snow conditions in the Czech Republic. Spicak Zelezna Ruda features 32 sunny days on average per season. The average for all ski Resorts in the Czech Republic is 29 sunny days. February is the sunniest month with an average of 16 sunny days. This makes the ski resort one of the 3 sunniest in the Czech Republic. 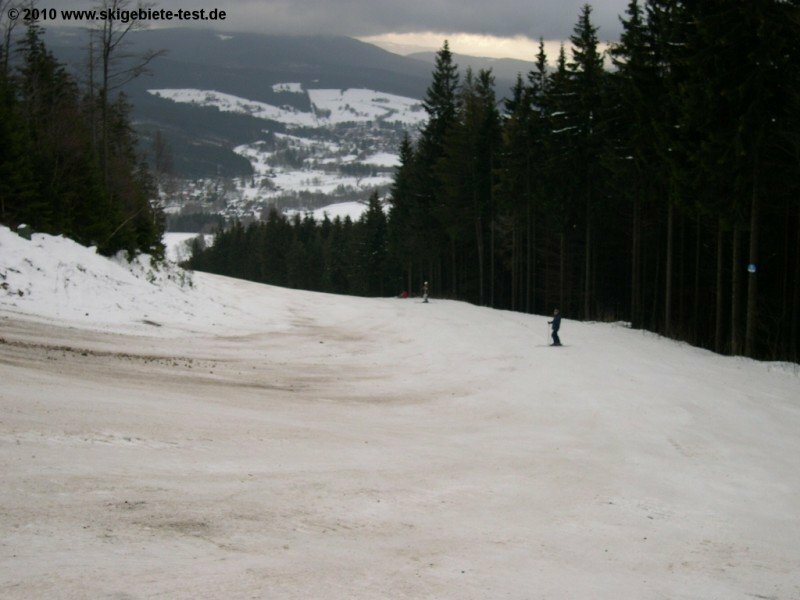 Offering 5 miles of slopes and terrain, Spicak Zelezna Ruda is among the 5 largest Ski Resorts in Bohemia. 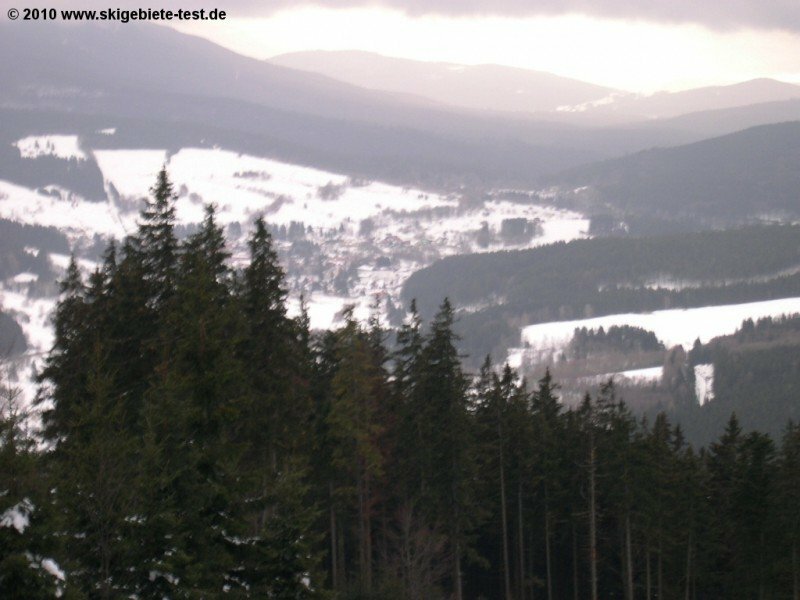 Spicak is located on the Czech part of the Bohemian Forest on a little more than 1000 meters and offers everything you need at a ski resort. All in all there are about 9 kilometers of trails of different ability levels. You don´t necessarily need your own equipment as there is ski rental available. Yet, there is also skiservice and the resort´s own kindergarten at service. Thus, Mum and Dad can enjoy the trails and slopes while their kids are in good hands. If the kids want to play in the snow they can visit the resort´s kidspark where they have their own lift and a magic carpet. In addition, some trails are lighted at night. Freestyler will also find a terrain park called Horesfeathers Snowpark. It is groomed every day so you will always find best conditions. Its elements are designed for beginners and intermediates. Moreover, fans of Cross-Country skiing will love this resort as there are several routes available that measure up to 28 kilometers.